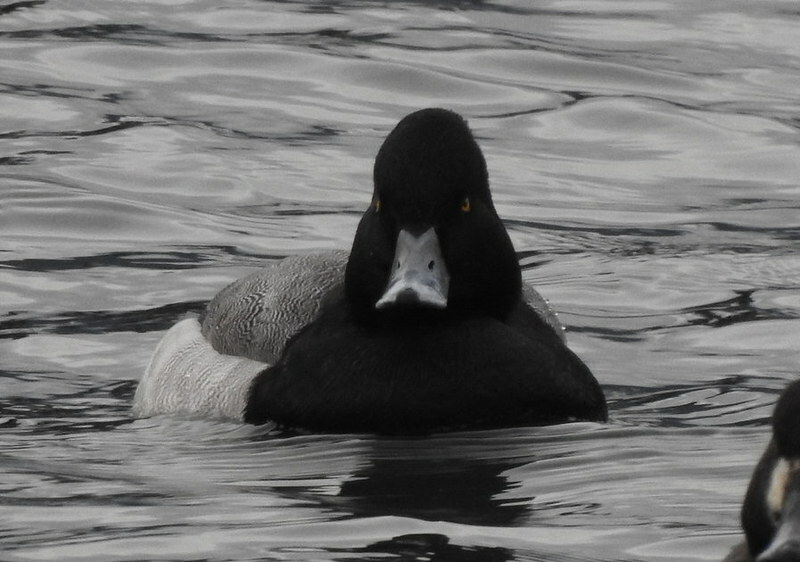 Possible hybrid Greater Scaup/Ring-necked Duck? Caught during the Nelson CBC on Saturday. Bird was associating with mixed raft of Greater Scaup, Mallard, Wigeon and Ring-necks. I've been dreading seeing a potential hybrid Scaup and haven't come out from under the table for three days straight. Any views? 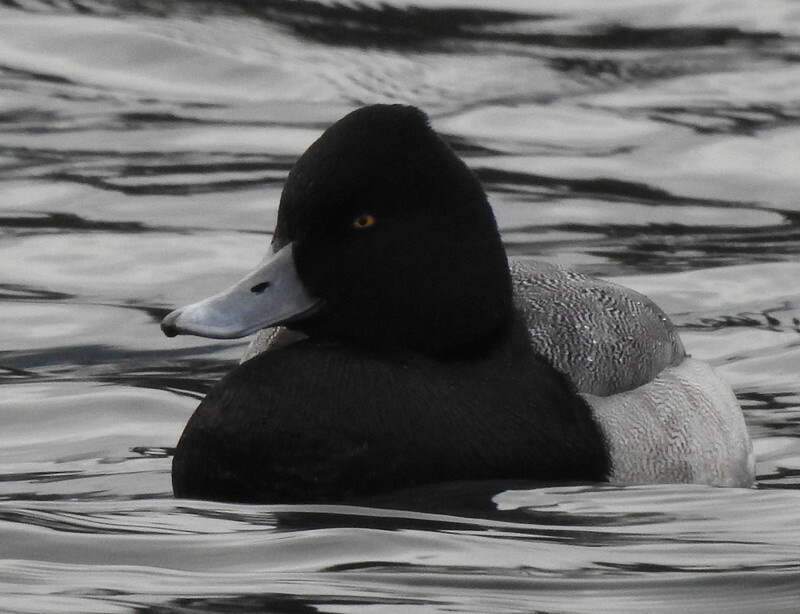 Looks good for Lesser Scaup?.. I'm not seeing any markings for Ring-neck other than the peaked head, which is normal for Lesser. 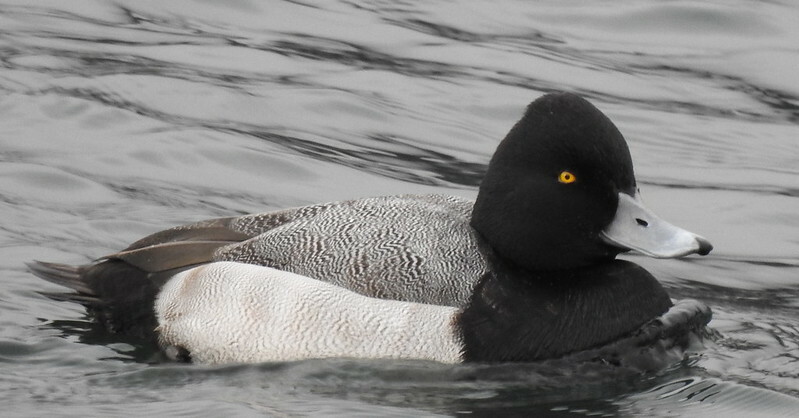 Upperparts appear much too dark and patterning also seems quite wrong for pure Lesser Scaup.